New options for decorators and farmers. 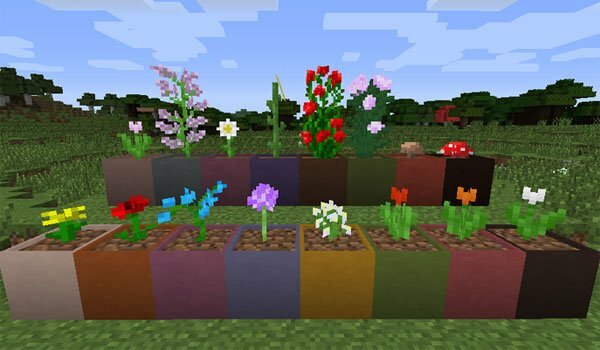 Modular Flower Pots 1.7.2 and 1.7.10 is a mod that adds new pot types to the game. They are made with hardened clay, so we can use the different colors available for making pots with different shades of color. Beside from plants you can use the pots to make crop plantations and even fill them with substrates, such as sand, gravel, earth, etc.. This mod also allows us to place the new plants that add other mods to the game. 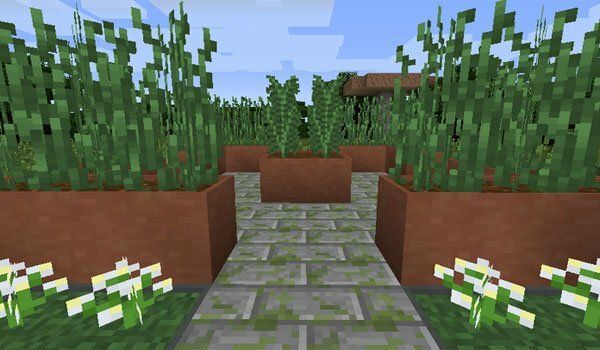 How to install Modular Flower Pots Mod for Minecraft 1.7.2 and 1.7.10? New possibilities for the pots in Minecraft!